The very very generous people from CARES sent us one of their Child Avaition Restraint Systems to test and review for them back in April but it's only since we've been on holiday in the last few weeks that we've been able to give this product a proper testing! 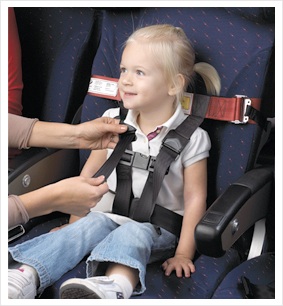 I'll let CARES tell you a little bit about their product: "CARES, the Child Aviation Restraint System, is the only harness type child aviation safety restraint ever certified for airplane travel by the Federal Aviation Administration (FAA). CARES is an elegantly designed belt and buckle device for kids 22-44 pounds that is easy to use and creates a safe airplane seat for your child without the hassle of carrying a 20 pound car seat. CARES weighs just 1 pound and fits into a 6" stuff sack! It is simple to install, adjustable to virtually any size airplane seat, and keeps your child as safe as a car seat would. CARES is made of the same industrial-strength webbing as your own seatbelt. It is engineered and manufactured by AmSafe Aviation, the world's foremost manufacturer of airline seatbelts." The CARES system comes in a very neat and tidy little box well documented with helpful information and diagrams, and that's before you've even opened the box! It says on the box that the CARES system has been FAA (Federal Avaition Administration) approved which is an American Body but after speaking with the travel agents and airline here in the UK they were more than happy to accept this product since it is manufactured by AmSafe Aviation. When you open the box the CARES system is neatly packaged in a handy draw string carry bag which is perfect for storing your CARES when not in use and since it's bright red it makes it easy to find in your hand luggage. The belt itself looks just like a normal belt you would find on a plane but just with a few extras to help keep your child sitting up straight. CARES have a handy how to guide to show you the correct way to fit the system to the airoplane seat plus you get a DVD in the box which shows you what to do aswell. CARES has also been featured on the American show CBS, here's a little video you might want to take a look at. When it came to us using the CARES system it was actually very easy although Logan was a bit grumpy so trying to fit him in without any tantrums was a bit difficult but we managed after 5 minutes and he was sitting quite happily in his big boy seat next to mummy and daddy watching his dvds. We were both very pleased and happy that Logan was happy and it really made all the difference since Logan is very tall for his age there's no way he would have managed to sit on my knee for the whole journey. It would have been hell! The only problem we had was on the way home from our holiday the seats on the plane were leather so Logan kept slipping down which wasn't great and we had to keep pulling him back up so that might be a bit of an issue as we had to make sure he didn't hurt himself on the CARES system but we survived and I'm sure as he gets bigger it'll become easier when he can keep himself from slipping on the seats. You can now purchase your very own CARES here in the UK from Mothercare RRP £55-60. Overall a brilliant restraint system for airoplanes and one which I would definitely recommend for safety as well as some peace for you to enjoy the journey. It is very pricey so not exactly going to fit into everyone's budget but if you plan to fly quite a bit then I would urge you to purchase one of these. It will save you a lot of hassle. It really helped us loads. Please visit www.kidsflysafe.com for more information. You can also see what CARES are getting up to on facebook and twitter so please do nip over and say hello! Remember to tell them The Breastest News sent you. 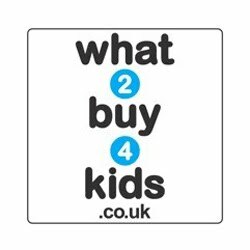 0 comments on "Review: CARES - Child Aviation Restraint System"